I cracked this book's spine without knowing much about it, which is unusual for me. Normally I've read the synopsis and multiple reviews before deciding to dedicate time to a novel. 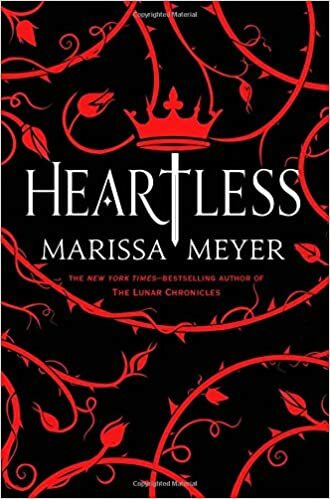 However, I already knew I liked Meyer's writing, and my boyfriend bought me Heartless as a gift, so I decided to give it a shot without looking at any outside material. Turns out, that was an awesome way to tackle this story. Many readers are aware that Heartless is a re-imaginaging of Lewis Carrol's Wonderland, and it tells the story of the Queen of Hearts before she became twisted and bloodthirsty. I had no idea that Meyer was telling the villain's backstory. I assumed Catherine was a character entirely of Meyer's own invention, which made the story all the more riveting when I realized who Cath actually was. Meyer has such a great way with words. Her descriptions of Wonderland are enchanting, and her characters come alive as they face challenges and joys. I instantly became attached to Cath and the other characters, including the Mad Hatter and Jest. What impressed me the most was Meyer's ability to make Wonderland new and exciting while simultaneously mimicking the whimsical essence of Carroll's original work. I was sad when the story came to an end simply because I would no longer get to explore Meyer's mystical, strange realm. If you're looking for a tale with a happy ending, then you might want to consider what kind of story Heartless is. 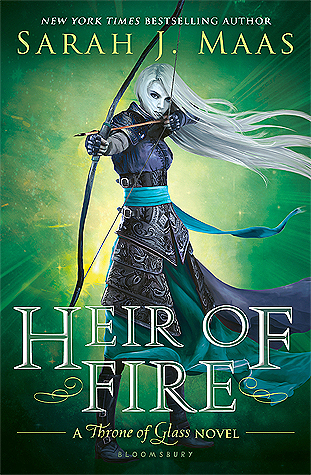 This isn't a tale of happily-ever-afters: it's the tale of a sweet girl who is forced to become a villain. Heartless has it all: a unique plot line, fantastic characters, and steamy romance. Meyer's fans will definitely not be disappointed, and if you enjoy a good background story, then definitely check this one out. This dreamy novel will have you falling down the rabbit hole faster than you can say "off with his head."